Mary Cantwell is a 15-year veteran educator with a Master’s degree in Educational Leadership in Technology. During her six years at Mount Vernon Presbyterian School, she has led the Science Lab instruction for grades K-5 and is a member of the Faculty IT Support Team. Most recently, as the Design Thinking Coordinator for kindergarten through 6th grade, she designed and developed D.E.E.P., the design thinking process utilized at Mount Vernon, which is based on Stanford University’s d.school model. 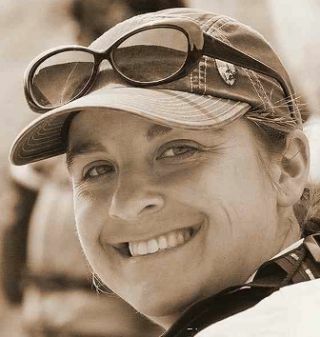 In 2009 Cantwell was the recipient of the GISA Lovejoy Grant, which enabled her to attend a week-long workshop at the Dauphin Island Sea Camp. She also received a Mount Vernon Fellowship in 2010, allowing her to travel to the Galapagos Islands and to Ecuador to work at the La Hesperia Biological Preserve. At the end of the 2009-2010 school year, she was named Innovative Teacher of the Year at Mount Vernon Presbyterian School. Cantwell attended Stanford University’s Design Thinking Boot Camp in 2011 and returned in 2012 to serve as a coach and seminar leader. She also conducted a Design Thinking 101 workshop at the Design Thinking Summit sponsored by Mount Vernon’s Institute for Innovation. She has presented at numerous conferences including GISA, TeachMeet, AATE, InnovatED and in 2013 will be co-leading a design thinking conversation at Educon and //fuse. Since assuming his position in 2007 with the Fayette County Schools, a metro Atlanta district of approximately 20,000 students in 30 schools and three programs, Curt Cearly has focused his efforts on providing a strategic vision, ensuring students and teachers have the technology resources and infrastructure necessary to teaching and learning, and that the district uses the available technologies to the effective teaching, learning and leading the district. His efforts to this end have improved the district's infrastructure, assisted in transforming all classrooms in the district to the 21st Century with an interactive pad, voice amplification, projection device and a computing device for every two students. He supported the installation of the infrastructure necessary to allow BYOT within all high and middle schools, and is extending the project to the elementary level with three pilot schools during the second semester of this school year. He serves as the president of the Georgia K-12 CTO Council, the state chapter of the Consortium for School Networking (CoSN), on the Conference Steering Committee for GaETC, and is a member of ISTE and has served as the Conference Workshop Chair for the ISTE Conference in both 2000 and 2007. He presents at state and national conferences, and served education at the classroom, state, national, and university level prior to assuming the position with Fayette County Schools. With over 30 years of experience as an educator, Debbie Childress has always championed technology integration in the classroom.She has 16 years of classroom experience in Metropolitan Nashville Schools, TN, and Cherokee County Schools, GA, and has conducted professional development for adults in the field of technology integration for 23 years.She has worked at the district level for 18 years and has been in her current role as supervisor of instructional technology for ten years. She was chosen to teach in the Apple Classroom of Tomorrow (ACOT), a technology-rich environment sponsored by Apple Computer and the National Science Foundation, and has served as program committee co-chair for the National Education Computing Conference (now ISTE). She currently serves on the instructional technology advisory board for the Georgia Department of Education, the instructional technology advisory board at Kennesaw State University, and as program committee co-chair for the Georgia Education Technology Conference (GAETC). Childress organized and led a comprehensive reform effort in her district to support teachers in the integration of technology for learning. Approximately 1,200 teachers completed the program, which laid a solid foundation for allowing students to use their own technology in the classroom.Cherokee County’s Bring Your Learning Device (BYLD) program is currently in its first year of implementation.Childress focuses on the training and professional development administrators and teachers need to be successful with this new initiative. Jeff Eller has been a pilot in the tech force since his teaching career began ten years ago. The passionate pursuit of learning about technology and science creates a blend of coaching, facilitating, and motivating students and teachers to join him in flight through the innovation of curriculum and instruction. He is highly involved in the integration of technology at J.C. Booth Middle School and in the Fayette County Public School System. Eller is passionate about changing the perspective of thinking and learning with the tools of technology and gaining depth and relevance in connection with the world outside of his classroom. Daniel Gagnon currently teaches AP social studies at Cherokee High School in Canton, GA. He has been utilizing a blended model, including the "flipped classroom" approach, with his students for the past several years and has seen a significant impact. In his role as Lead Moodle Instructor, he promotes the power of blended learning in the K12 environment and the use of Moodle to help students become more engaged in their own education. He has presented on the benefits of blended learning at the Midwest Educational Technology Conference and the Georgia Educational Conference and has also submitted papers for publication with the Journal of Information Technology and the Journal of Interactive Learning on the benefits of K12 blended learning. Gagnon is currently pursuing his doctorate at Kennesaw State University in Instructional Technology, with his research focusing on how blended learning can impact instructional time and student engagement. David Jakes has spent the past 30 years in education as a teacher, staff developer, and technology coordinator. From his first Macintosh Classic to his current iPad and Chromebook, he has witnessed first-hand the changes in education that educational technology has empowered. Jakes shares this knowledge as a frequent speaker at technology conferences across the United States, and has spoken in Canada, Europe, and China. His interests in educational technology include design thinking, digital storytelling, mobile learning, and the development of spaces for learning. He currently maintains aweb site, a blog (The Strength of Weak Ties), and a variety of other resources including David Jakes Presentation Resources, dedicated to improving the use of technology in education. David Lockhart is currently in his second year serving as a social studies teacher at North Atlanta High School. Previously, he taught at Wheeler High School in Marietta,Ga and CD Hylton High School in Woodbridge, Va. Lockhart has spoken at GAETC, and he helps lead the push for technology use in his own school. He is an avid tweeter of instructional technology @ld112265 , and he is currently working on the beta version of his education technology website which can be found at edtechspeeddating.weebly.com. Will Mansfield is a junior at Kennesaw State University and is majoring in organized mass communication. After speaking to Travis Allen about this unique opportunity, Will readily joined the iSchool team in the Spring of 2010. He is a part of the seminar, develops the science and mathematics workshops, and is the conference coordinator. His workshops integrate these subjects into 21st century classrooms and make it fun to use in the classroom. Mansfield has attended many internationally recognized leadership seminars, which have augmented his skills as an orator and a leader. He is an ordained minister and active in house church ministries both on and off Kennesaw State's campus. Along with the rest of the team, he hopes to bring iSchool Initiative to the forefront of modern day education systems and spread the message internationally. Kate Matthews is a district instructional technology specialist with 22 years of experience in education. She focuses on helping teachers develop curriculum to meet the needs of 21st century students. She has presented at the local and state level and currently serves as GaETC Program Committee Co-chair and a GaDOE IT Advisory Committee member. She facilitates district-wide support for teachers on topics such as Edmodo implementation for classroom and district professional development learning management, Google Apps for Education implementation, integration of essential technologies in the 21st Century Classroom, and blended and flipped learning models. Her current focus involves the changing pedagogy surrounding BYOT and the paradigm shift this requires of instructional practice for educators. As assistant principal at Pickens High School in South Carolina, Max Monroe works with juniors and seniors, overseeing graduation, class day, Baccalaureate, school safety, and technology within the administration at the school. Monroe became involved in instructional technology during its earliest days in education and has been a user, trainer, developer, and advocate for technology in schools ever since. Digital Media, MS Office, the use of technology to support writing, and Google Apps usage for administrators and teachers are among his areas of interest. He is an avid follower of the development of future technology and its impact on society, education, and business. Jessica Pater is research associate and the associate director of the Foundations for the Future (F3) program (www.f3program.org) at the Georgia Tech Research Institute (GTRI). She is the project director for several educational programs, including the Georgia Tech component of the Georgia CyberSafety Initiative (GaCSI) and has taught courses in the areas of digital citizenship, cybersafety and cyberethics, technology applications in the classroom, and virtual worlds in education. Pater’s areas of expertise include social media technologies, technology transfer, and curriculum integration. Her current research activities focus on the role of technologies in educational motivation and identity development. Pater is a member of the International Society for Technology in Education, the Consortium of School Networking, and IEEE. She currently serves on review panels for CoSN, ACM and the Information, Communication, and Society journal. She recently has begun a PhD in Human Centered Computing at Georgia Tech where she is focusing on emotional and social wellness as it relates to technology and teens. Amy Pruitt has served students in the Rowan-Salisbury School System for 22 years at both the elementary and middle levels. She is a 21st Century Model Classroom teacher, holds National Board certification in early adolescent/English language arts, has a Master's degree in elementary education, and is licensed in academically gifted education. She has spent the majority of her career in a co-teaching model for children with exceptionalities. In the 2012-2013 school year she began serving as the STEM mobile classroom teacher aboard the STEM Exploration Lab, which serves K-5 students in the Rowan-Salisbury School System. Previous presentation venues include the North Carolina Middle School Conference, NCTIES, ISTE 2010, and Mobile 2012. Pruitt enjoys infusing mobile technology with real-world applications across the curriculum. Kecia Ray began her career as a middle school science teacher, teaching in one of the first 21st Century classrooms in the state of Tennessee and participating in the state’s first distance learning network. She later became an assistant professor at Middle Tennessee State University where her research in assessing technology literacy led to a basic computer literacy exam. Subsequently, she designed technology-rich learning spaces for the Frist Center for the Visual Arts and in 2000 became the director of technology research in the Office of Science Outreach at the Vanderbilt University School of Medicine.In addition to her current role in the Nashville schools, Ray has consulted with and conducted research in school systems, universities and museums around the world and is the author of three books and several papers focused on designing instruction and distance technologies. She is President-Elect of the International Society for Technology in Education (ISTE) board. Arvin Ross is a junior at Kennesaw State University. He has honed his skills in digital photo editing and photography under the leadership of his mentor, Kito Johnson, the Senior Pastor of Covenant Christian Center in Canton, GA. Under Johnson’s leadership, Ross has excelled in understanding the arts of film, video production, and also public speaking. He uses his skills to better the iSchool Initiative, creating videos, graphic arts, and presenting seminars to schools. Connecting with the iSchool Initiative has helped Arvin Ross find a way to gain even more experience in the areas that he is already passionate about. He has found that the mission of the iSchool Initiative is one he can directly work to fulfill and is making strides to bring the future of education into the here and now. A combination of his passion, mentoring, and vision leads to the success and accomplishments that are sure to come. Robin Schirmer has spent 13 years working with middle school students in the Fayette County School System.In 1990, while working at IBM, she was bitten by the “technology bug” and the impact technology could have on education and began working with teachers to incorporate technology into their lesson plans. In her classroom today she works to find new and innovative ways to incorporate technology and differentiated teaching methodologies into her classroom.Whether she is implementing a learning-centered approach, investigative methods, or hands-on activities, she has tried to make the use of technology as commonplace as opening a textbook.While performing research on new educational innovations for a graduate class, she stumbled upon the Flipped Classroom Model and has worked to implement that model in her classroom as the primary means of instruction.Although she has learned many lessons while implementing this teaching model, she has had tremendous success and enjoys sharing her experiences with anyone willing to listen. Christopher Wells is a noted speaker and advocate for schools and students. With experience in the classroom as a veteran science teacher, leading a product team for a global consulting firm, and over 11 years as a director in school district information management, he provides realistic examples and messages to address the concerns that school districts face in a world of shrinking budgets and higher academic expectations: How can a school leader effectively educate students and staff members about responsible technology use? How should policies be developed to positively impact teaching and learning? What is needed to prepare every level in the school district to adopt emerging technology? As the author of Smarter Clicking: School Technology Policies that Work!Wells provides frameworks for developing communities engaged in appropriate and responsible technology-enhanced education. For more information, or to contact Christopher Wells, send an email to cwells@schooltechpolicies.com. A 14-year science, drama and technology educator, Jeff White has worked with the Georgia Educational Technology Training Centers delivering the first incarnation of InTech certification, and for Georgia Public Broadcasting's education division, managing their science and math programming and delivering multimedia and video trainings across the state. Over the last four years, his school has helped to pilot and implement Forsyth County's Bring Your Own Technology (BYOT) initiative, and he has worked with a few of his teachers to look at the use of proprietary simulation games as "virtual labs" in the social studies classroom. He is currently working with his colleagues and principal to revise his school’s improvement plan goals to focus on 21st century learning environments, and how to step beyond BYOT. Hoke Wilcox has had a truly unique experience in education beginning with his first teaching assignment as generalist for Yupiit School District in Alaska on the Kuskokwim River. His career has taken him from rural Alaska to metro Atlanta where he currently works with some of the largest school districts in Georgia. Wilcox has served as an administrator, teacher and trainer during his 17 years of experience helping educators to use technology effectively in the classroom. He currently serves as associate chair for GaETC and as a board member for the Georgia Educational Technology Consortium.